Just driving by? Maybe you should stay. 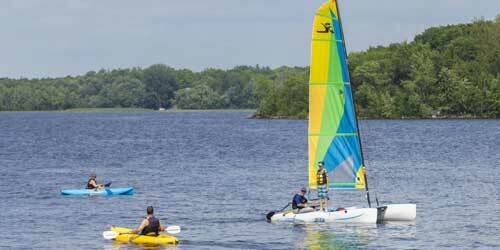 Basin Harbor offers a myriad of recreational opportunities from hiking and biking to water-based activities like waterskiing, wakeboarding, and guided lake cruises, there is plenty to do in a day’s time. Basin Harbor also offers multiple distinctive dining experiences from multi-course dinners in “Ardelia’s Dining Room”, to illustrious lunch buffets in “The Ranger Room” to a more casual, pub-style option at “the Red Mill Restaurant” there is a dining experience for any occasion. During the summer months, Basin Harbor even hosts al fresco dinners down on the lake three times per week ranging from traditional lobster bakes, to Harbor Fair dinners and Vermont Picnics. The only question here is not what to do but how to fit it all in one vacation. All inclusive means endless activity for every age. 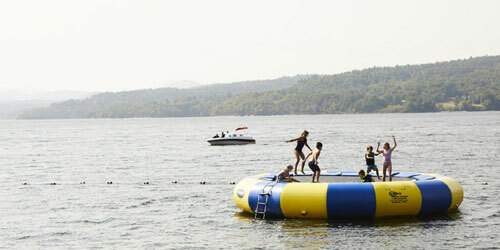 With a recreation center, 6 playgrounds, a soccer field, boating, fishing, basketball, volleyball and 6 tennis courts, an archery range, driving range and miniature golf, mountain and road biking, indoor and outdoor heated pools, field house gym and exercise and fitness center, arts and crafts studio, climbing walls and rope courses – well, you get the picture. 70 family cottages and suites, and a rambling, country Inn with a separate sleeping wing Three healthy meals daily, the Fireplace Lounge and Bar for Mom and Dad, and the age staggered children’s programs and you have one great resort to do great things. Lots of them! Bears, Factory Tours and Adventures – Oh, My! 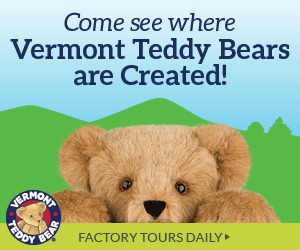 Ever wonder how Vermont Teddy Bears are made? 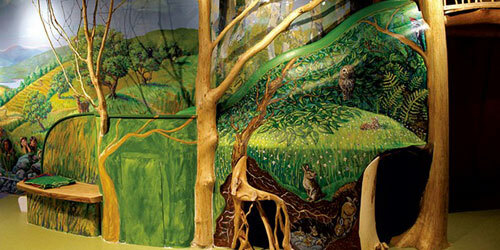 Come visit us at our factory and Bear Store and see how our Bears come to life! 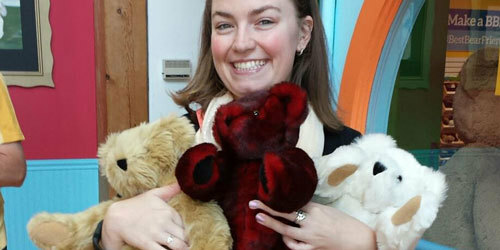 Watch as our Bears take shape with sewing, stitching and stuffing. All tours are led by our knowledgeable Bear Ambassadors, and kids get to decode a secret Bear message along the way. End your tour with a visit to our Bear Shop where you can choose a new favorite Bear or make one of your own. All tour and store information is available on our website. 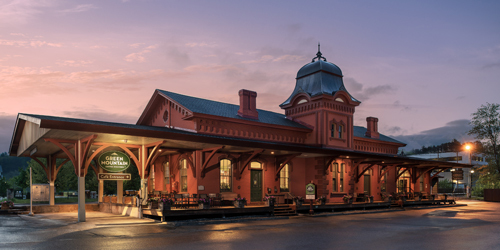 Have your first and next cup of coffee at this tastefully restored train station and visitor’s center. 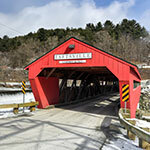 Set in Waterbury VT and built in 1875 with beautiful Victorian Italianate features, this stop has become a favorite New England destination with a global flavor and world-wide impact. Along with delicious cups and bags of great Green Mountain Coffee, Keurig brewers and accessories, you’ll find artisanal handicrafts, and unique items from coffee growing communities. Interactive displays and videos tell the Green Mountain Story and the café invites you to try a daily variety of free coffee samples, specialty drinks, locally made baked goods and light fare. 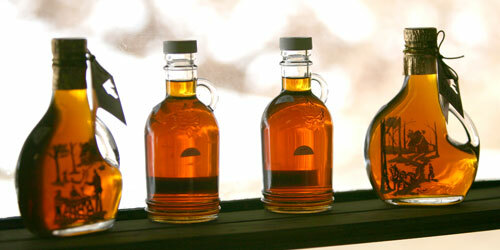 Green Mountain Coffee is freshly brewed every day with a passion for "source to cup" authenticity. 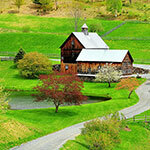 Come see where chocolate is made! Take the sweetest tour in town at our Factory Store! Learn all about how chocolate is made and take in the aromas and sights — not to mention free samples, of a real chocolate factory. 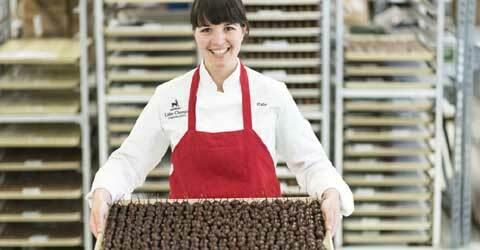 Watch us craft truffles, caramels, almond butter crunch and more. You might even see a giant bunny or a flock of chocolate turkeys being hatched. The through-the window tour is free, lasts about 30 minutes and is appropriate for ages 7 and older. Tours begin on the hour Monday-Friday, 11am-2pm. Self-guided tours are available after 3pm and before 10am. Saturdays and Sundays, drop in for a free chocolate tasting where you will discover the flavor profiles of four chocolates with a chocolate tasting guide. 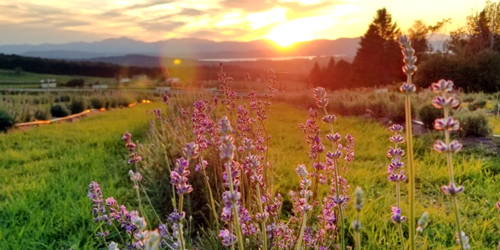 Lavender Essentials of Vermont is a mountain-top lavender farm at 2103 Herrick Road in Derby that invites visitors to enjoy the beauty of farm fields in the Northeast Kingdom along with a palette of sensual pleasures. That includes picking your own lavender; relaxing o tent-covered patios and sampling local chocolates, cheeses, and drinks; and shopping for lavender products at the farm’s retail barn. And that’s just the beginning. 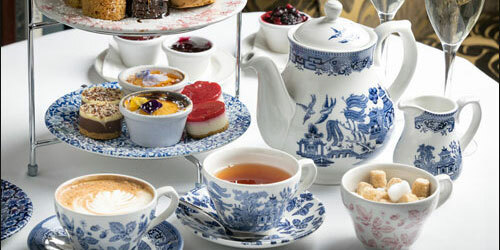 The farmers host high tea on Sunday afternoons, yoga classes, wine and cheese tastings, star gazing, children’s parties and scavenger hunts. All lavender-scened, of course. How blissful! Open June-September, Wednesdays through Sundays. This is an outdoor venue, so it may close because of weather. Phone ahead to 802-323-3590 or 802-673-54545. St. Johnsbury Athenaeum at 1171 Main Street in the northern Vermont town of St. Johnsbury has many great daily activities for adults and kids who want to explore the life of the mind. One example is the Frist Wednesdays series, where experts ramble about interesting topics. Recent topics were Vincent Van Gogh and the Books He Read and Bierstadt’s “Domes of Yosemite,” and the Creation of an American Icon. You can ekep uo with many other topical or quirky subjects by watching the Athenaeum’s Events page. 802-748-829. 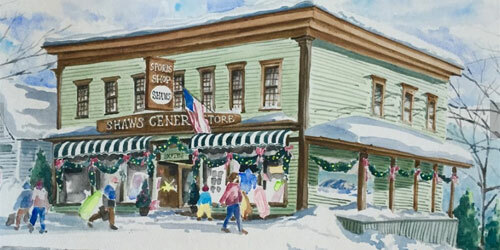 With the motto “Helping Vermonters Survive in Style Since 1895,” Shaw’s General Store on Main Street in Stowe covers most of the essentials, in products with quality and deep Vermont flavor. The Heritage Collection of rugged clothing brands includes Vermont’s Darn Tough socks. (802-253-4040). The Country Store opened in the historic Lackey Building on Maine Street in 2016 after a careful restoration of the old general store. More arty than Shaw’s, this is a great resource for artisan-made gifts. Stowe Mercantile, in the old Depot Building on Main Street, could be some version of a 1900 department store. For your needs to all kinds on a Stowe vacation or back at home, the wonderfully named Mercantile has you covered (802-253-7653). Yeah, Vermont does comedy, above and beyond cow-tipping and cracker barrel humor. Vermonters can crack wise on themselves, and you, too. A husband-and-wife pair of comedians has opened Vermont Comedy Club at 101 Main Street in Burlington. 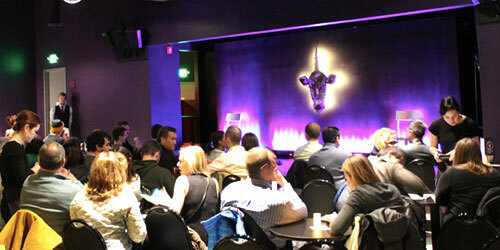 The comedy space, built inside the old Armory, consists of a 150-seat showroom, a bar/lounge with craft cocktails and snacks, and a classroom for anyone who wants to do it himself. 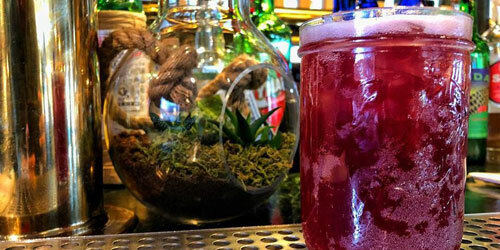 The weekly calendar is packed, including open mic nights and comedy jams. Drop in! Champ Lane, a new and brilliant play space for kids age 6 and younger, opened in February 2016 at ECHO Lake Aquarium and Science Center on Lake Champlain in Burlington. In addition to a fabulous indoor tree house (move over, Tarzan), Champ Lane has a deluxe water table, puppet theater, multilevel boat, play café, and mini French market named after Marché Atwater in Montréal. A book nook offers space for quiet reading, nursing and relaxing. There's also a classroom and lab that will be used to teach about animals and scientific inquiry. Fun for every style of kid. Open daily 10 a.m. to 5 p.m. Phone: 802-864-1848. A farm-based beer brewer that is quickly developing a national reputation for unique beers is found waaay up in Vermont’s Northeast Kingdom, near the town of Greensboro. Beers by Hill Farmstead Brewery , at 403 Hill Road, are hand-crafted and the outcome of years of experience and education. 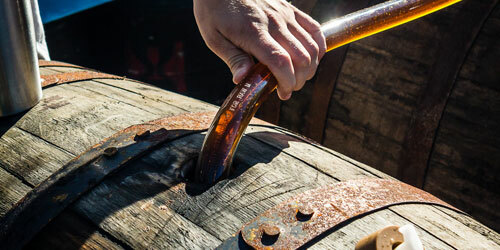 The brewery is based on farmland in use by a family for 220 years. The retail shop, open Wednesdays to Saturdays, noon-5 p.m., is the only place the beer is regularly available. Twelve beers on draft are available at any given time, in 2-liter and 750-ml, bottles. These folks are serious about hand-crafted beers; they even host a Festival of Farmhouse Ales in August.